Jatiya Party (JJP) Chairman Hussein Muhammad Ershad on Monday said there is no scope for the BNP to take part in the interim government as it has no stake in the current Jatiya Sangsad. He made the assertion while talking to newsmen after holding a dialogue with the Election Commission (EC) at EC Secretariat in the city. Chief Election Commissioner KM Nurul Huda chaired the dialogue, while all commissioners and officials concerned were present. 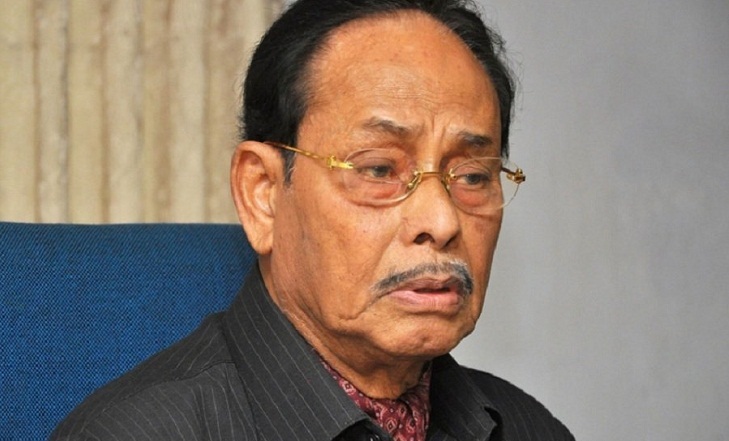 Quoting Ershad BSS said, "Cabinet member of the interim government would be appointed considering the party chief's recommendation and the interim government would have to be constituted as per the ratio of all parties, represented in the 10th Jatiya Sangsad." A total of 25-member delegation led by Ershad joined the dialogue and the JP submitted written proposal for holding the next Jatiya Sangsad election. The Commission initiated its dialogue with 40 registered parties on August 24 to take their opinions over its preparation for the next national election. Earlier, the EC held dialogue with civil society on July 31.